Autonomous flying drones are being used for site surveillance on large construction projects, helping to identify problems on site. The real estate industry has been an early adopter of drone technology, primarily using drones for aerial photography and videography of buildings . 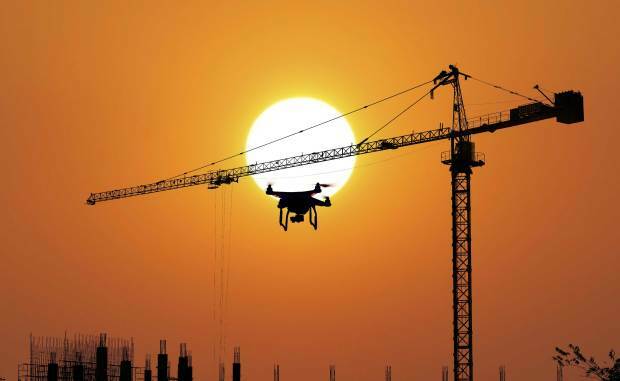 The construction industry is beginning to use drones in a number of applications such as mapping and surveying, asset inspection, volume calculations, 3D progress monitoring, and site surveillance. There is potential for greater project efficiency, with the development of tools such as the ‘Flying Superintendent’ made by the University of Illinois, which integrates drones with Building Information Modelling (BIM). The images taken by the drones are combined with four-dimensional BIM to identify actual and potential problems which are then alerted to the project staff’s smartphones or tablets. Barmco Mana McMurray is interested to see the future of drones in the construction industry, as useful tools to identify safety hazards and mitigate risks to building project schedules.